New York City is famous for many things: Times Square, Central Park, the Empire State Building, Broadway, ginormous slices of pizza—fuhgeddaboudit. We could go on and on. Among regional urban planners and government officials with ambitious goals to reduce the effects of climate change on their cities and communities, NYC is rather quickly also becoming synonymous with the “green” and “cool” roof movement—rooftops integrating vegetation or reflective components. While The City That Never Sleeps may have nothing on metropolises throughout Germany, which reportedly first explored vegetated roofs more than two centuries ago, it's surely getting there, investing tens of millions of dollars in citywide projects to combat extreme heat and the other disastrous ramifications unleashed by global warming. In fact, The Big Apple is just one of an ever-growing number of cities across the United States turning to cool or green roofs to defend against rising temperatures, reduce ballooning energy costs, and tackle pollution caused by stormwater runoff. Residents and tourists may not necessarily see what’s happening hundreds of feet above them atop the concrete jungle of iconic skyscrapers and buildings, but make no mistake, officials are hoping the grass is indeed greener (and dark roofs less hot) at higher elevations. If you’re a suburbanite, simply picture your lush green lawn at the height of spring. If you’re a city dweller, imagine your favorite park and its kid-friendly baseball or soccer fields. When the sun shines on the Earth, vegetated areas naturally remain cooler than cement or blacktop. During rainfall, these fields absorb precipitation, which later undergo a process called evapotranspiration, by which moisture is released back into the atmosphere. 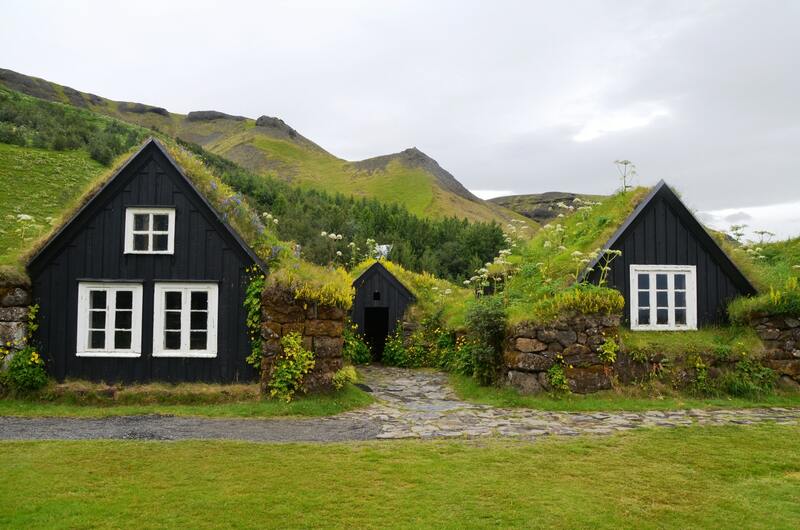 Meanwhile, dark roofs get pounded by the sun, particularly during summer months, increase building temperatures, and are not engineered to absorb precipitation in any meaningful way. Indeed, there’s a striking difference in the amount of sunlight reflected by vegetated surfaces than traditional pavement, according to a recent report by Yale School of Forestry & Environmental Studies. “Fresh asphalt reflects only 4 percent of sunlight compared to as much as 25 percent for natural grassland and up to 90 percent for a white surface such as fresh snow,” it states. Researchers say the benefits of growing vegetation atop buildings include significant reductions in heat, and thereby savings in energy costs, such as those associated with air conditioning. Green roofs could also help prevent polluted stormwater runoff from spilling into local waterways. The Environmental Protection Agency (EPA) found people living in so-called heat islands—places hotter than surrounding rural areas—could benefit from both green and cool roofs. Large cities are especially exposed to higher temperatures, as they are 1.8 to 5.4 degrees warmer than surrounding areas, according to the agency. “Green roofs and cool roofs can save energy, reduce neighborhood temperatures, and protect human health,” according to a report published by the international nonprofit Natural Resources Defense Council (NRDC) specifically reviewing how green and cool roofs could reduce the effects of climate change in Southern California. “Green roofs and cool roofs offer the potential to address many of these issues,” the report notes. The NRDC analysis considers two scenarios for urbanized Southern California. On the high end, installing green or cool rooftops on 50 percent of buildings would mean savings of 1.6 million megawatt-hours annually, which is equivalent to eliminating hundreds of thousands of metric tons of carbon dioxide from entering the atmosphere. This would mean an estimated savings of up to $211 million for the region. The NRDC also cites the immediate benefits of these non-traditional roofs, stating that the temperature of a paved rooftop can be 90 degrees hotter than the surrounding air. 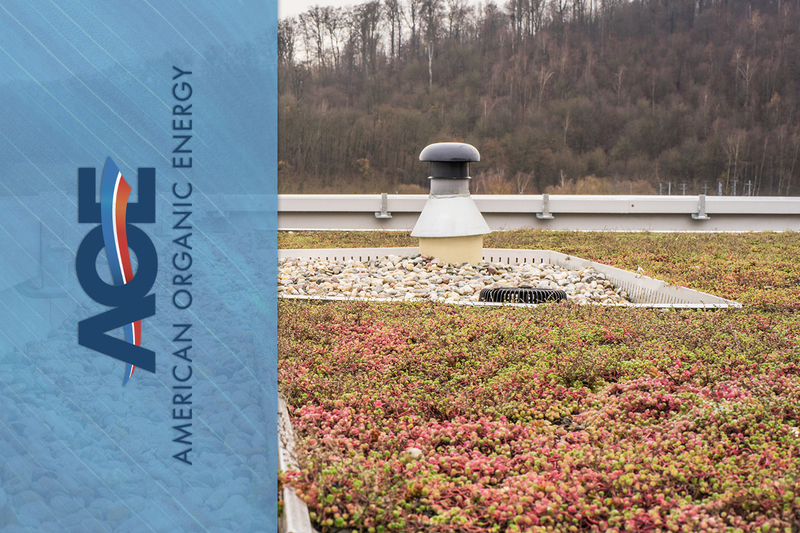 While acknowledging that studies exploring the effectiveness of green roofing have varied, the report finds such efforts could potentially reduce energy use by a whopping 50 percent. Wow. 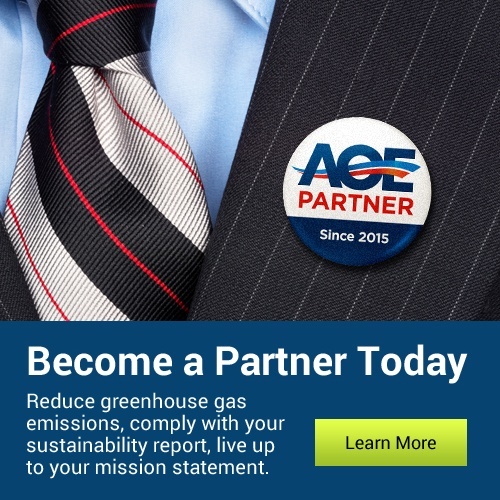 Officials can either proactively address the problem at its inception “by eliminating or reducing the human factors that contribute to it (such as reducing emissions, controlling pollution, etc.) or [by] developing strategies that allow for its effects to be reduced, such as, in the case that concerns us, increasing green areas in cities, using, for example, the tops of buildings as green roofs," he says. Chicago currently boasts more than 500 such green rooftops, according to the latest figures released by the city. This equates to nearly 5.6 million square feet, or 127 acres, acting as a natural defense against the sun’s intense rays. Cool roofs are viewed as another alternative. Incorporating highly reflective paint, tiles or shingles, or a sheet covering, it reflects sunlight away from a building, helps lower energy demands—especially during hot summer days—and can be 50 to 60 degrees cooler than a dark roof. It’s no surprise, then, that as aforementioned, New York City is aggressively trying to attack climate change, by rethinking the roofs utilized by hundreds of thousands of buildings throughout the five boroughs. In June 2017, Mayor Bill de Blasio announced the city would invest $106 million to curb the effects of extreme heat, and even more in its NYC CoolRoofs initiative. The program offers cool roofs at either no cost or low costs to nonprofits, affordable housing projects, recreation centers, hospitals, and other critically important institutions. 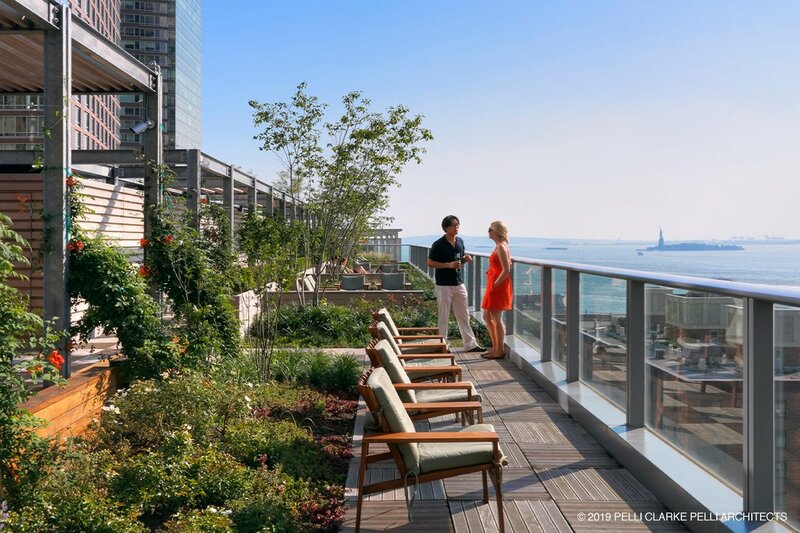 For New York City officials, redefining how rooftops function is not only about addressing the future impact of climate change, but also the effects of extreme heat, which claims more New Yorkers’ lives than any extreme weather event. “Climate change is a dagger aimed at the heart of our city, and extreme heat is the edge of the knife,” stated de Blasio. New York City’s investment in green and cool roofs is notable, given its size and its outsized influence. 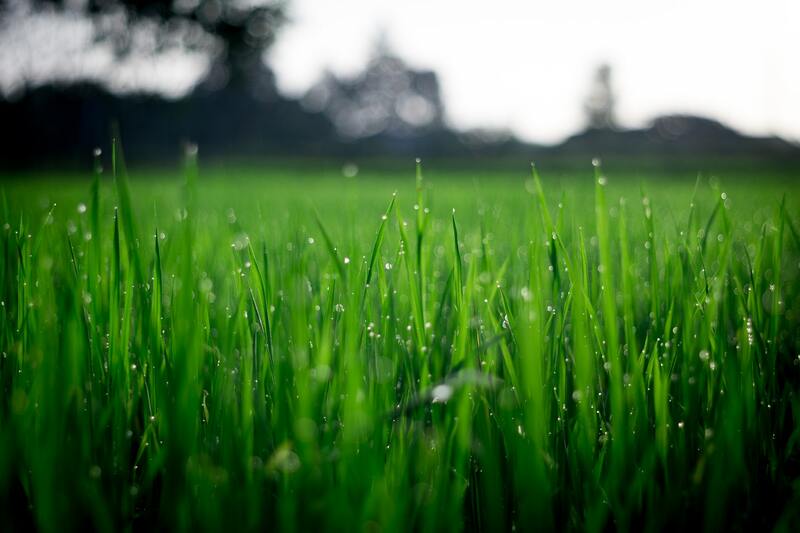 For those considering transitioning to a more sustainable model, industry experts note that there are several key factors to consider, including the time of year, irrigation, and the appropriately engineered soil. The importance of the nutrient-rich soil that provides the life-affirming underbelly for these precious green rooftops cannot be overstated, and American Organic Energy’s sister company, Long Island Compost, has been providing it for several truly extraordinary projects across New York City and surrounding areas. Dubbed “Gourmet Food For Your Garden,” Long Island Compost’s soil has also been utilized at some of New York City’s most beloved municipal projects and attractions, including the National World Trade Center Memorial and its Memorial Plaza to the popular Highline and Brooklyn Bridge Park. In fact, Long Island Compost has been engineering and supplying custom-designed soil mixes for green roofs across Manhattan and the five boroughs for years. Among these: the visually striking Visionaire in Battery Park City, naturally wondrous Sustainable Landscapes and Buildings Project at Queens Botanical Gardens, and perhaps the city’s most exclusive address, 15 Central Park West. 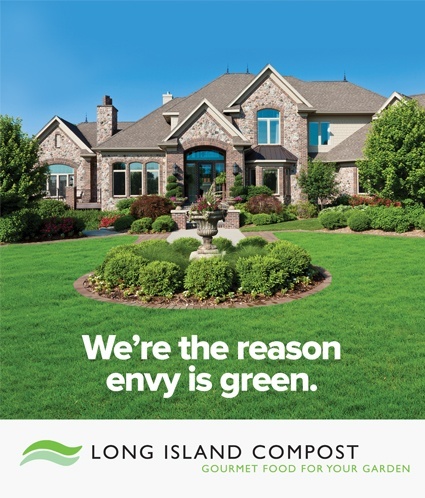 Yet supplying the perfect soil for green roofs and other sustainable lawn projects is just one of many ways Long Island Compost and American Organic Energy are safeguarding Earth’s precious environment and helping combat global warming and pollution. 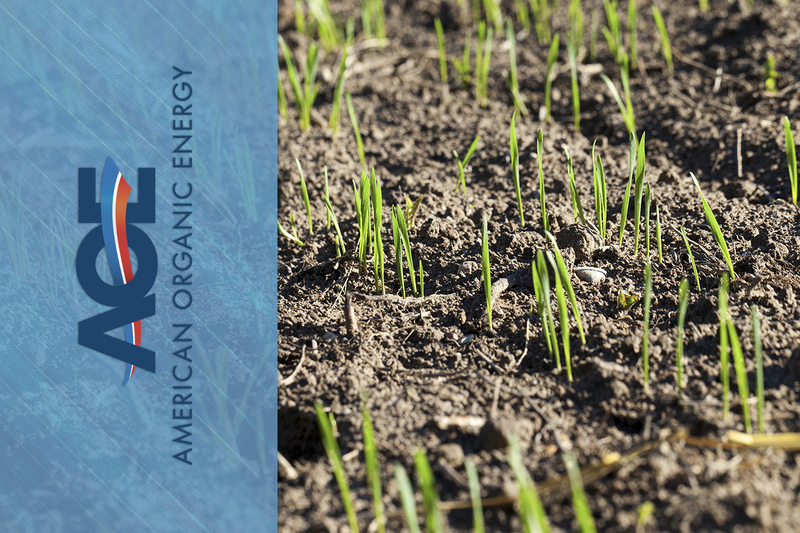 American Organic Energy’s state-of-the-art anaerobic digester will process more than 180,000 tons of food waste per year, in addition to more than 30,000 tons of fats, oils and greases (known as “FOG”), and more than 10,000 tons of grass clippings—resulting in a reduction of more than 40,000 tons of greenhouse gas emissions annually. 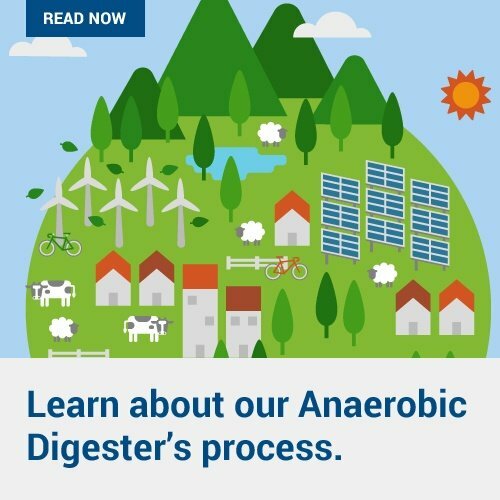 This extraordinary eco-friendly process, called anaerobic digestion, will not only divert the waste otherwise earmarked for landfills, but also create electricity, natural gas, and fertilizer—thus replenishing the local, regional, and ultimately, global environment, overall. 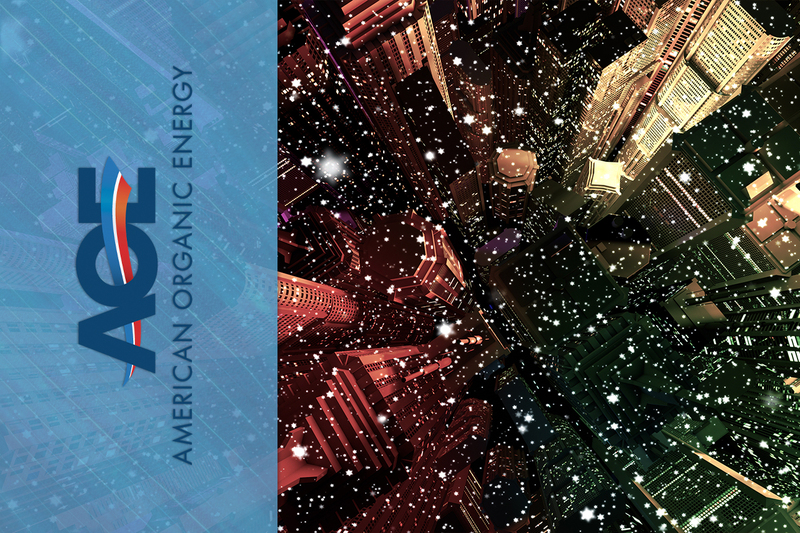 Contact American Organic Energy today to learn more about American Organic Energy’s anaerobic digester, the anaerobic digestion process, and learn how to become an AOE Partner!